OMRF is adding a new research program dedicated to understanding human genetics. The Genes and Human Disease Research Program will broaden OMRF’s investigation into genetic mechanisms in various diseases, ranging from lupus and multiple sclerosis to cancer, heart disease and obesity. The new program will be led by Patrick Gaffney, M.D., who joined OMRF in 2007 and holds the J.G. Puterbaugh Chair in Medical Research at the foundation. OMRF scientists Courtney Montgomery, Ph.D., Jonathan Wren, Ph.D., and Christopher Lessard, Ph.D., are also joining the initiative. The scientists had previously investigated autoimmune diseases illnesses like lupus, conditions in which the body mistakenly attacks its own cells. Over time, their research drew them to focus on the genetic roots underlying these and other diseases. The new program is also actively recruiting new scientists from beyond OMRF. “We have an incredible team to kick off this program, and we are looking to add others with skill sets that go hand-in-hand with our mission to find new ways to treat genetic diseases,” said Gaffney. 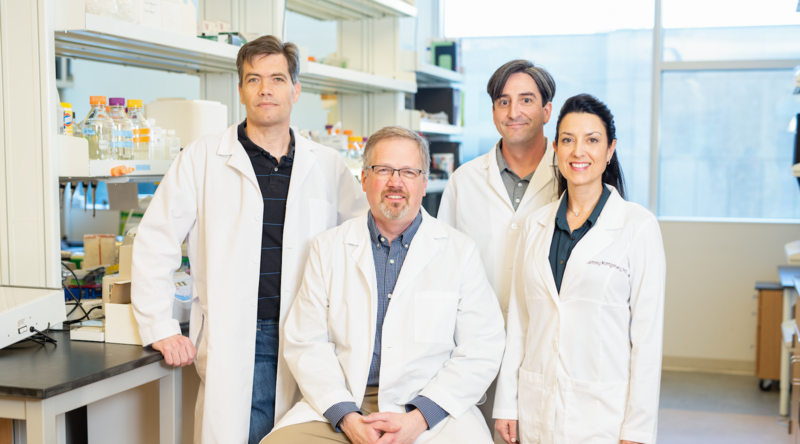 The new program continues the diversification of research at OMRF, which is home to more than 50 principal investigators more than 400 staff members.